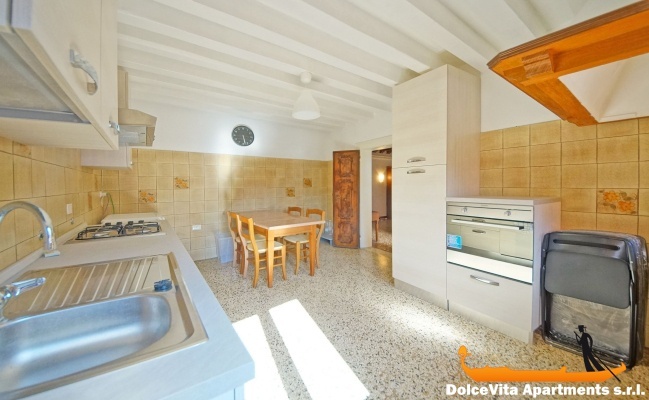 Apartment N. 345: It can accommodate up to 6 people, it is rented from 250 € per Night (not per person). 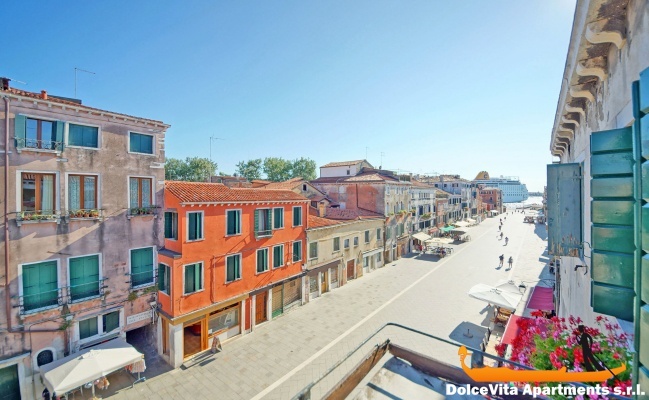 Venice Apartment Biennale Canal View for 6 People: Apartment for 6 people in the center of Venice, in the district of Castello. 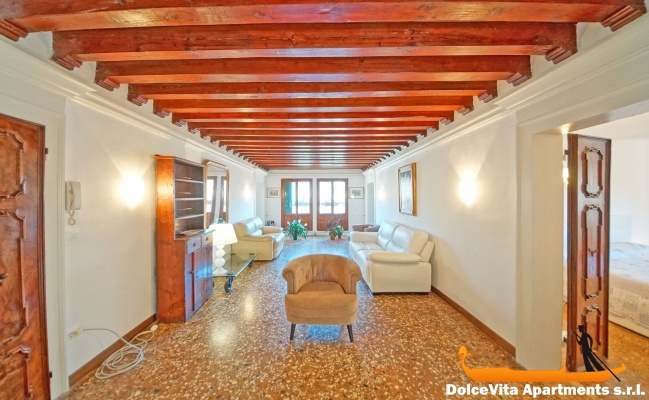 It is located on the third floor of a building, just 500 meters from the Biennale Gardens. 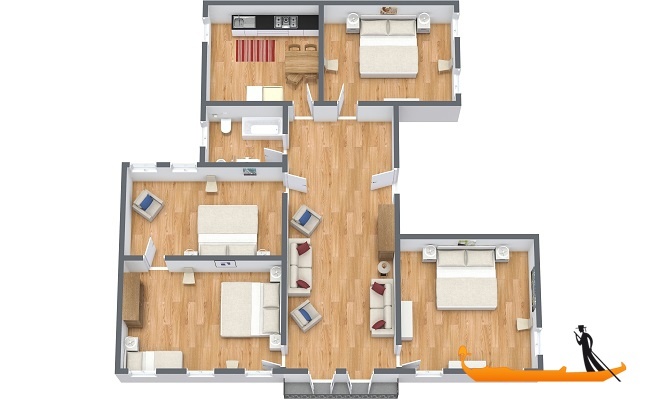 The apartment has a living room, a kitchen, 4 bedrooms and a bathroom. 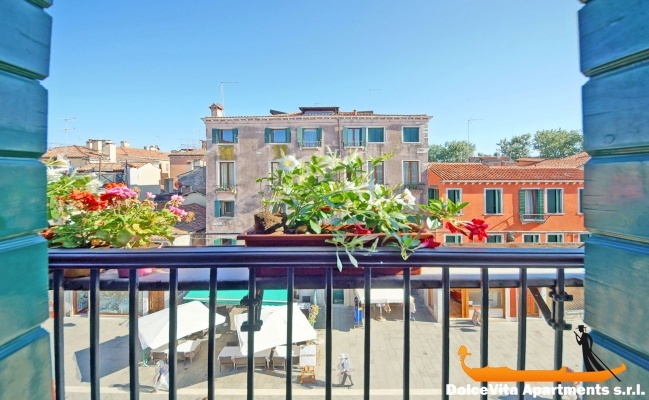 There is also a small terrace from which you can enjoy a magnificent view over the underlying street Giuseppe Garibaldi. Characterized by a beautiful ceiling with exposed beams, it can accommodate up to 6 people and it offers to its guests various comfort. 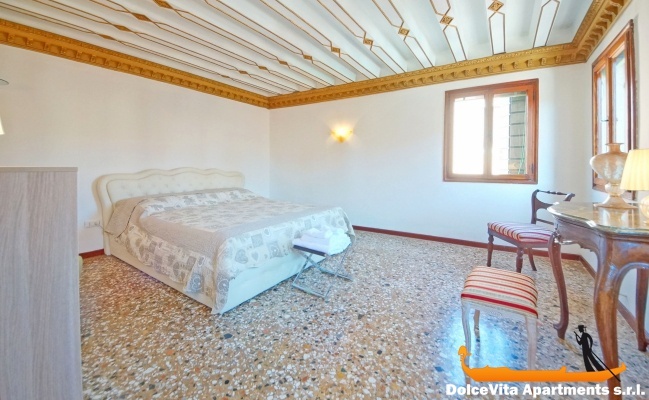 The apartment is equipped with Wi-Fi and satellite TV and it is provided with towels, sheets and blankets. There are also a washing machine, a dryer and for families with small children, on request, there is also a high chair. 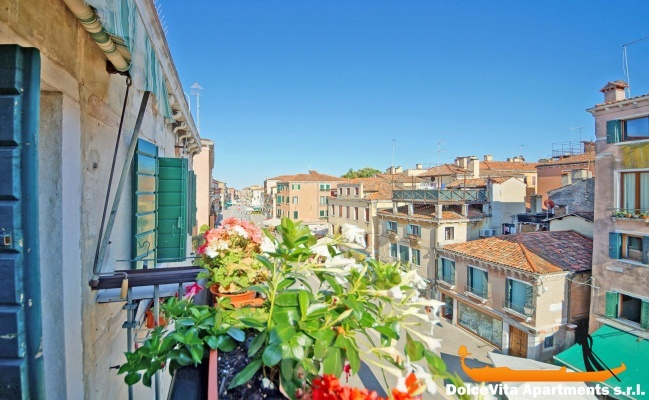 The apartment is in a very central location, just a few steps from the Biennale Gardens and the Naval History Museum and less than 10 minutes walk from the magnificent Venice Arsenal. As for trips to other parts of the city, the closest vaporetto stop is "Giardini", which is about 500 meters from the apartment. 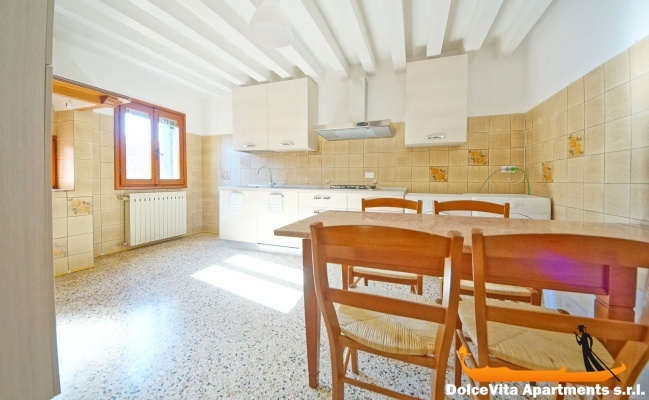 The apartment is as you see in the photos, very new and clean, with all the specifications indicated on the website. The area is quiet but very close to the center of the city. There is a supermarket nearby. We stayed 5 nights and it was ideal for my family (two adults and two children aged 11 and 13). Dear Eugenia, The apartments are perfect. They have all the facilities needed such as air-condition and a spacious kitchen. Further they are perfectly located in the centre of Venice. Apartment clean and cute, very comfortable at street level. Fast and totally reliable service. 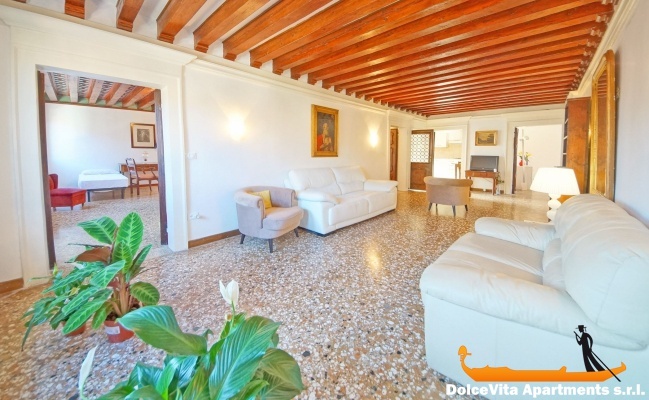 Very agreable and comfortable apartment, in a great location and overlooking the most attractive channels. The welcome that the owner gave us was very warm and generous. The organization of your site is perfect. 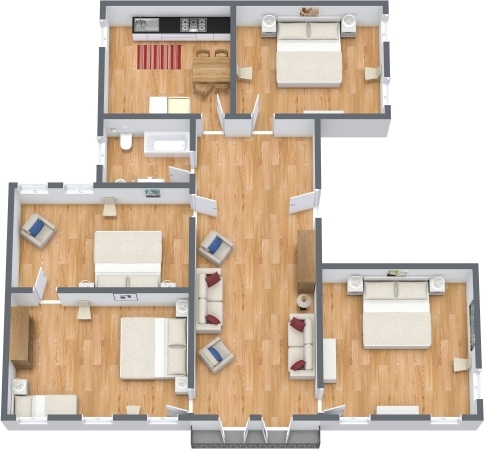 The apartment is very well located and avoids the crowds. The agency is very correct. 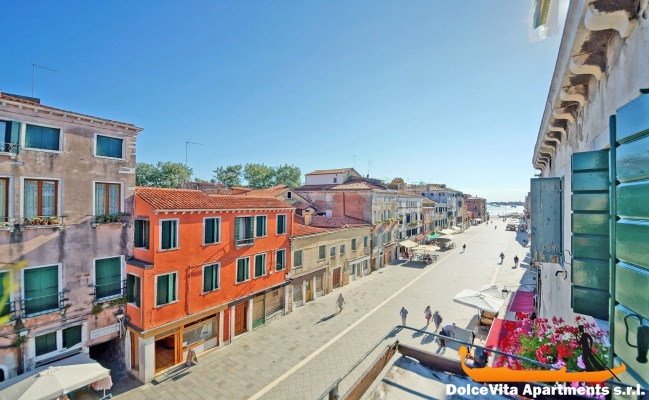 Brilliant located apartment in quiet authentic area of Venice close to vaporetto. The service is excellent and my contact Rossana has been of great help during the stay.